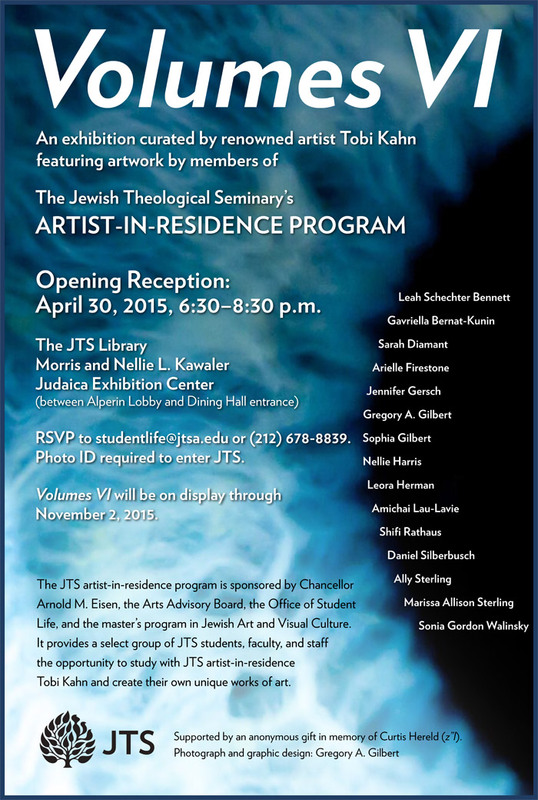 An exhibition curated by renowned artist Tobi Kahn featuring artwork by members of the Jewish Theological Seminary’s Artist-in-Residence Program. Opening reception on April 30, 2015, 6:30-8:30 p.m. The JTS Library Morris and Nellie L. Kawaler Judaica Exhibition Center (between Alperin Lobby and dining hall entrance). RSVP to studentlife@jtsa.edu or (212) 678-8839. Photo ID required to enter JTS. Volumes VI will be on display through November 2, 2015.